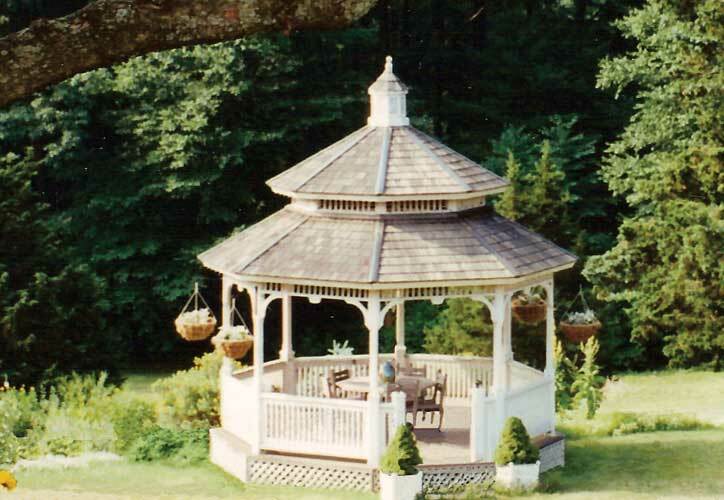 Vixen Hill’s first product (1980) was the modular Wood Gazebo. 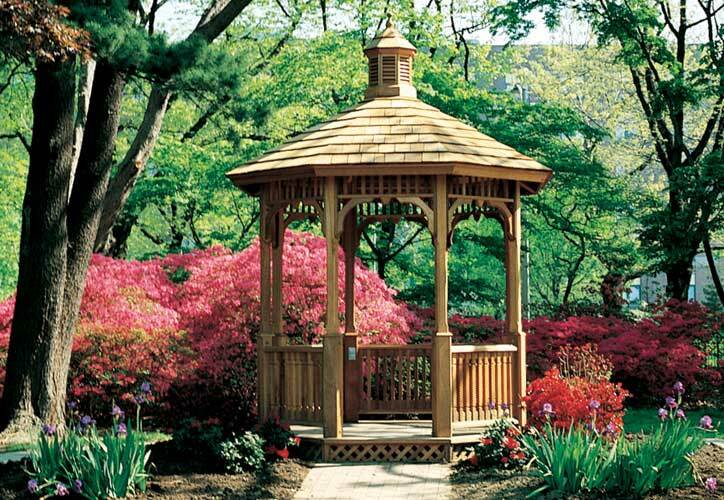 It was a Gazebo Kit introduced for the avid gardener who needed a safe-harbor from which to admire their plantings. 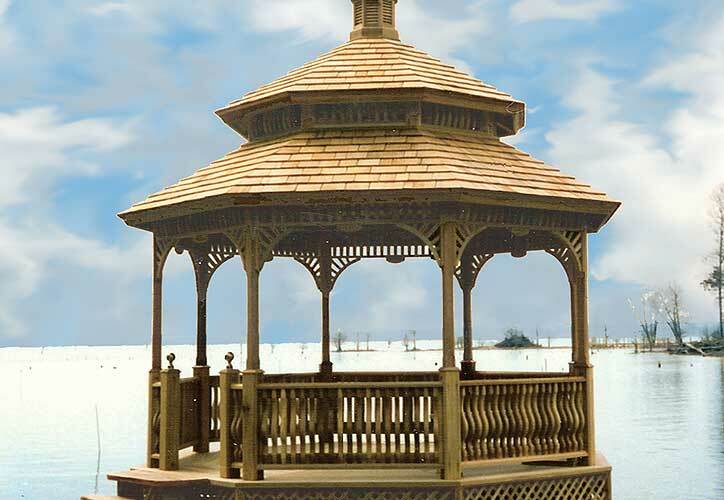 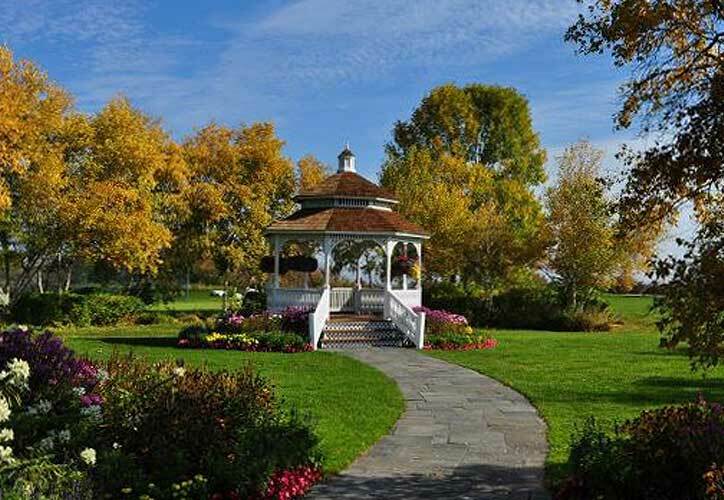 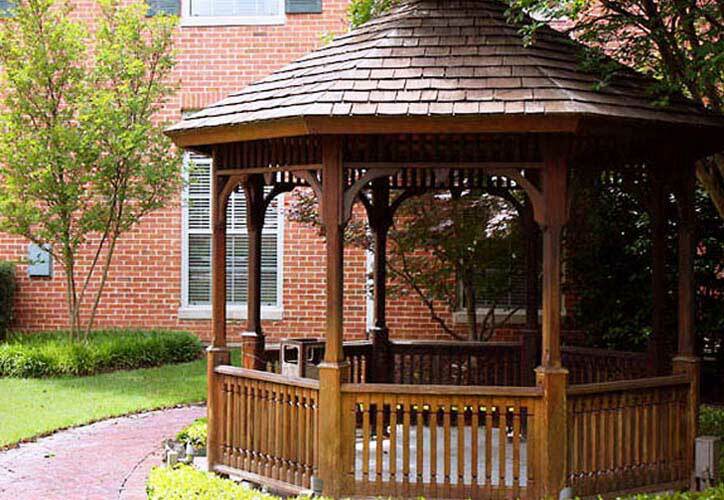 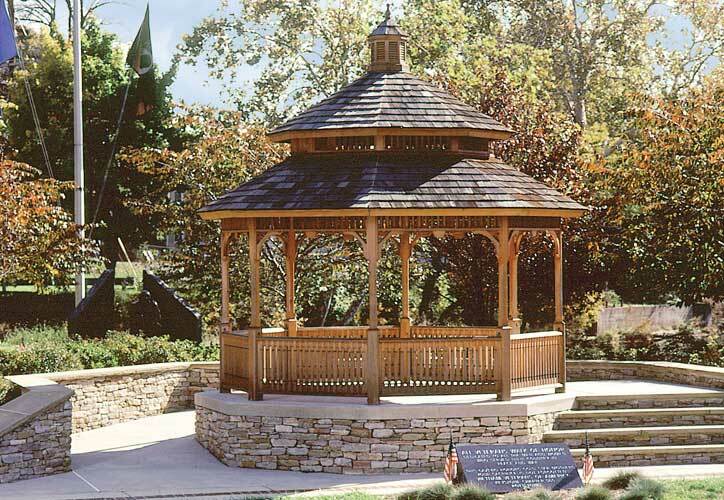 Although statues and fountains have some rewarding aspects, Vixen Hill Gazebos offer more… solid cedar Gazebo Kits which provide a destination without leaving home. 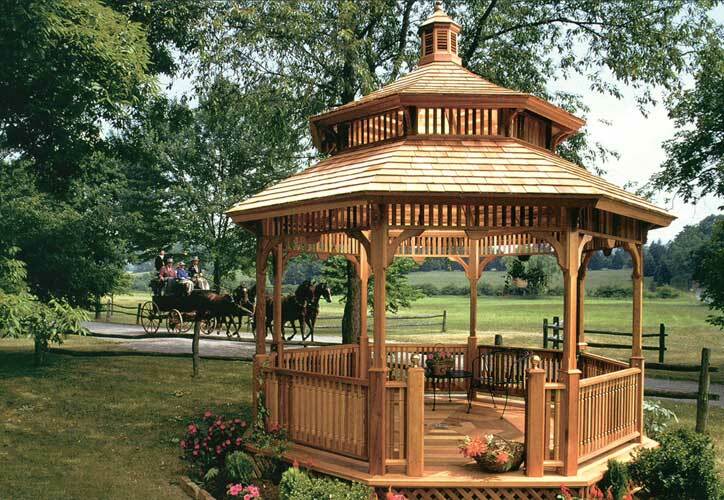 Gazebos, Garden Houses, Kiosks, Arbors, Cabanas, Pavilions and Follies are often confused. 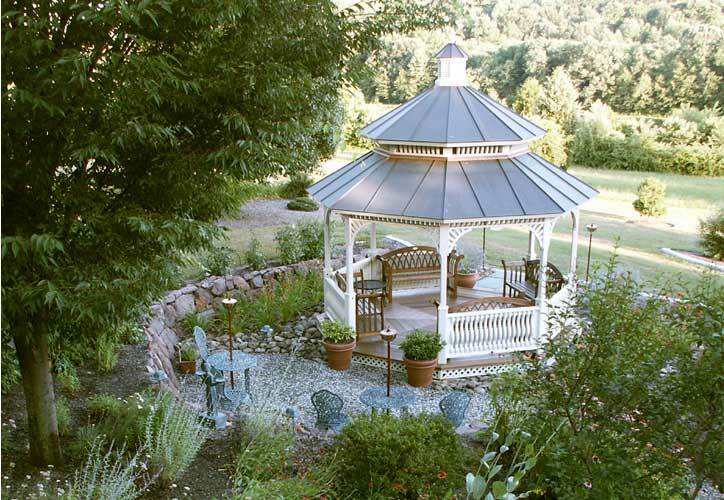 Though they are all “site-furnishings” that enhance outdoor living, they have different shapes, sizes or functions. 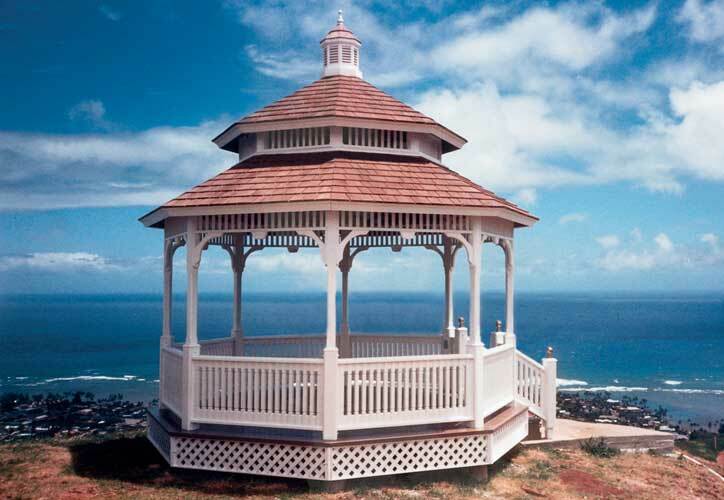 Gazebos are freestanding viewing platforms offering 360 degrees of view and are often eight sided. 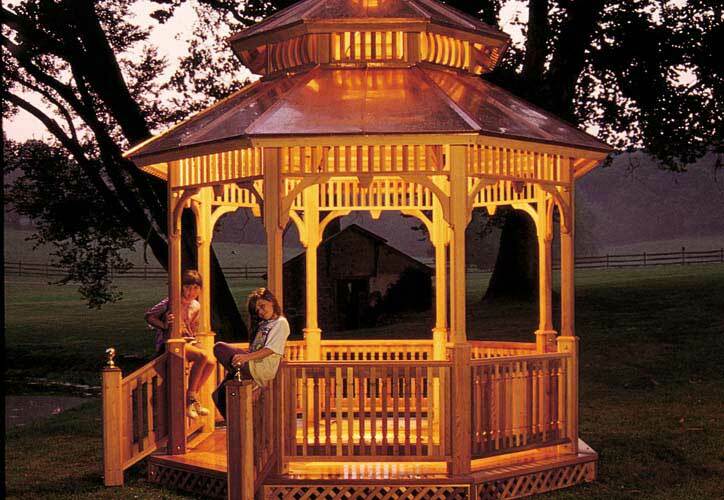 They are intimate structures for private use. 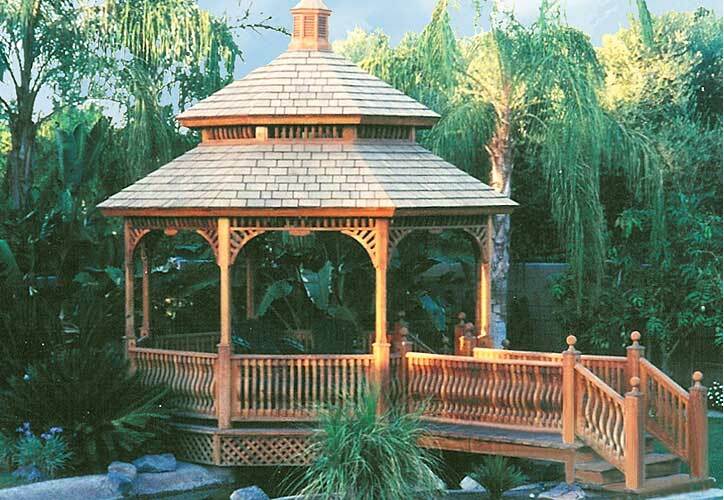 Traditional gazebos have roofs and open sides for protection from the sun and rain, but not from the wind, cold and insects. 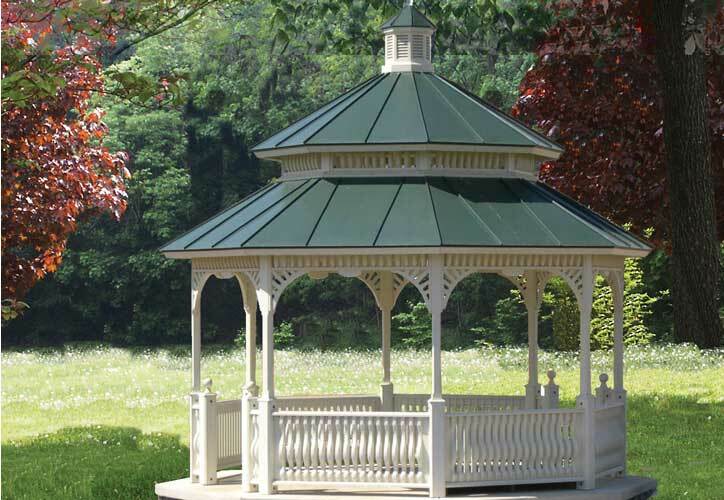 Modular Gazebos – Easy Assembly! 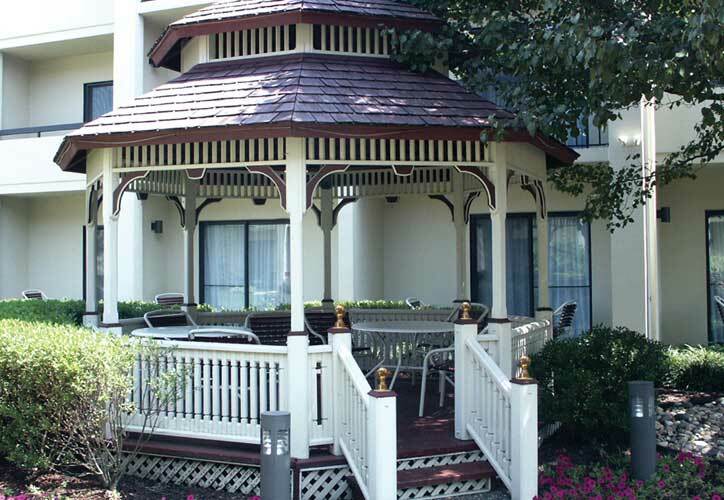 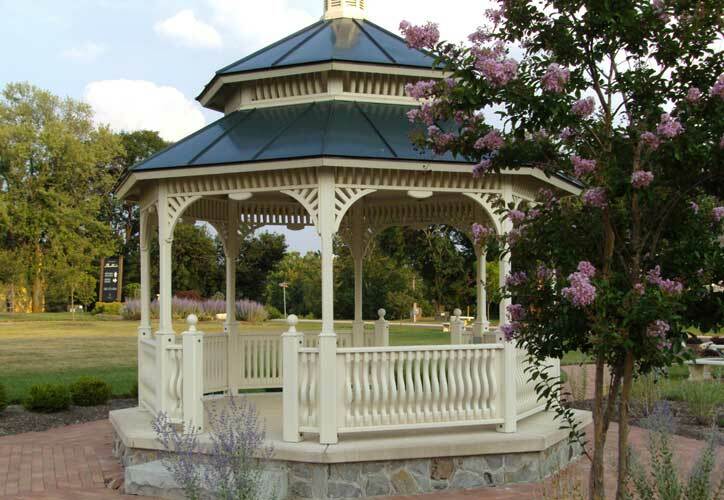 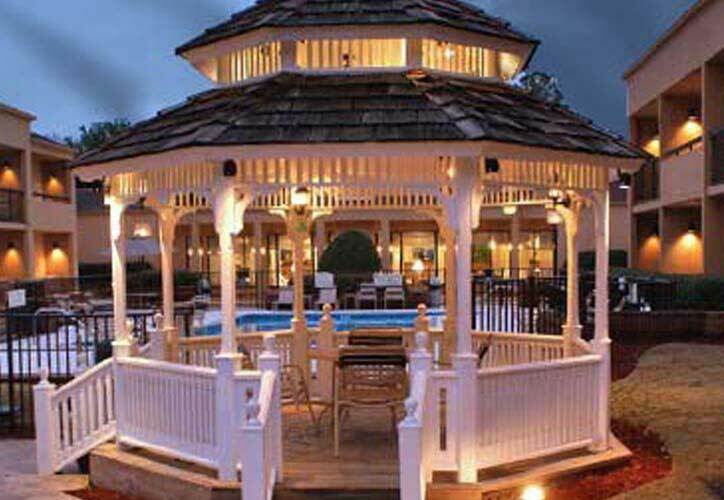 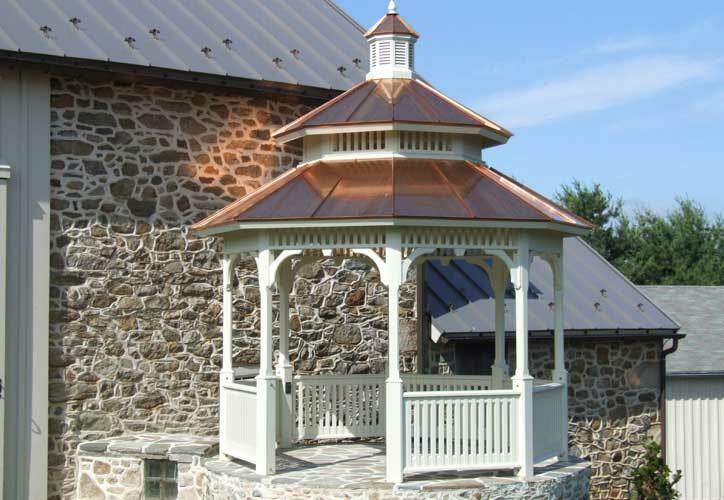 Vixen Hill was the first to offer pre-engineered Gazebo Kits. 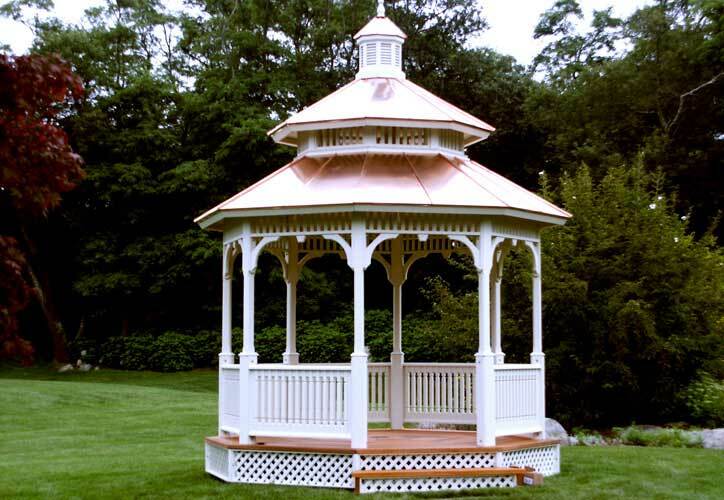 Light, yet strong materials were computer engineered to be interchangeable. 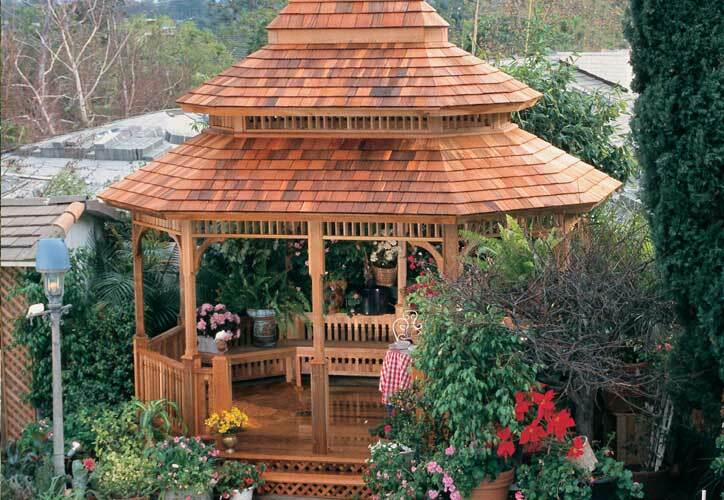 The modules could easily be assembled in a single day by a semi-handy homeowner using simple hand tools. 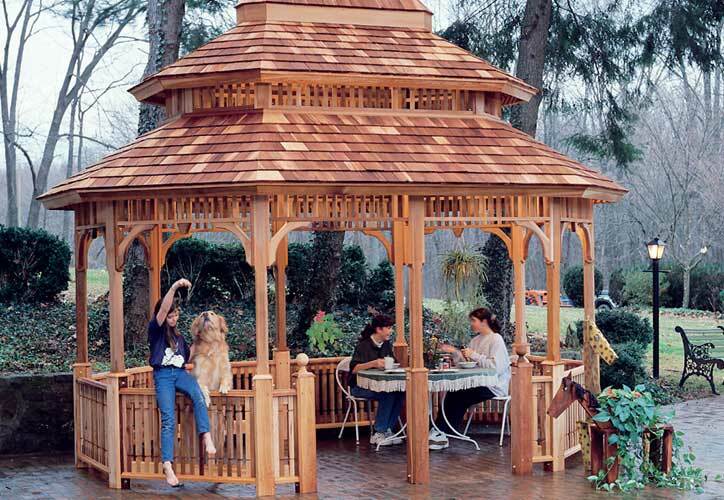 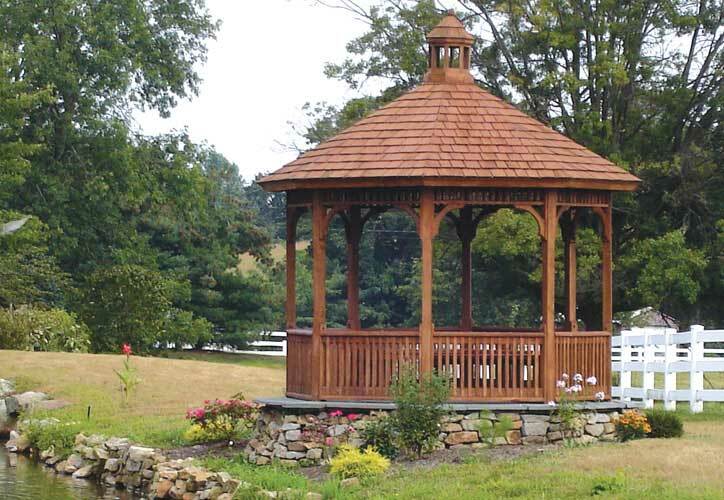 Vixen Hill Gazebos are not simple Wood Gazebos, but solid Cedar Gazebo kits designed to last for decades. 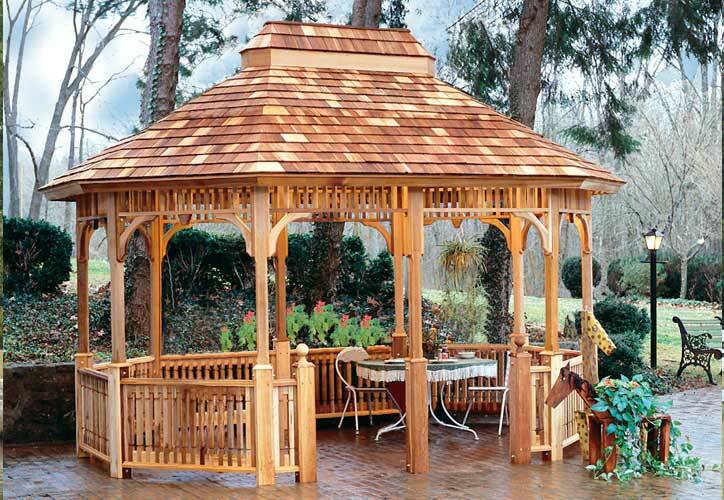 And, if a part is damaged (falling trees etc) they can be easily replaced. 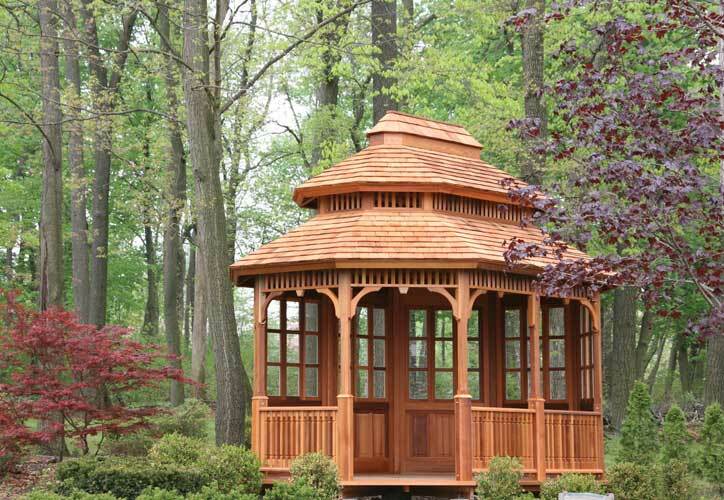 Vixen Hill Gazebos and pavilions have been shipped throughout the world and up elevators to roof-top gardens. 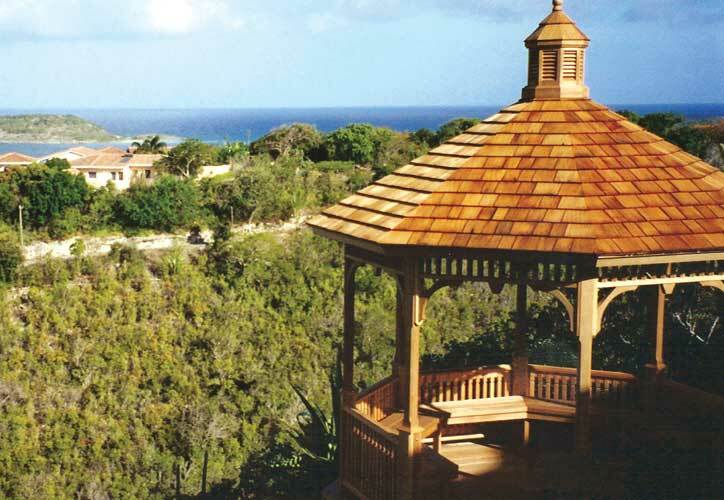 Design and integrity are everything to Vixen Hill. 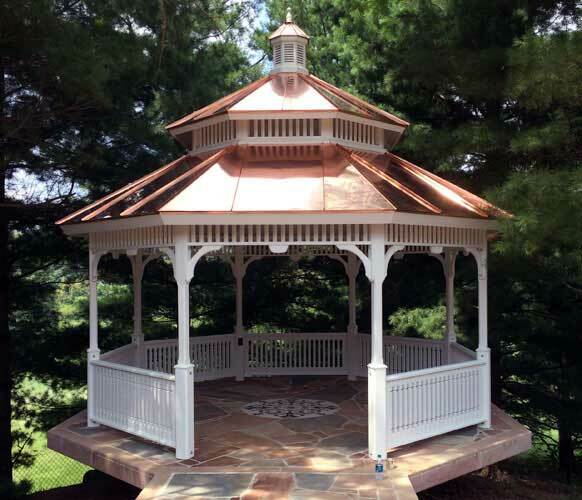 Though technically a “Gazebo Kit”, Vixen Hill prefers to call their product a “pre-engineered modular gazebo”, verbally like “separating the men from the boys”.